Understanding the economic benefit and opportunity that the EB-5 program has to our nation’s future, Nevada Congressman, Mark Amodei and Colorado Congressman, Jared Polis, have introduced legislation to make the program permanent and allow for job creation through foreign capital investment. Additionally, the bill titled American Entrepreneurship and Investment Act of 2015, would address Target Employment Areas, transparency and streamline processing times. For more information about the EB-5 Program and the benefits to both new and expanding companies/project developers thru foreign capital investment, contact The Nevada State EB-5 Regional Center. What does EB-5 stand for? The term EB-5 is a United States Citizenship and Immigration Services (USCIS) designation that stands for Employment-Based 5th Category. Under the U.S. immigration law, there are five different categories of immigrating through employment-based avenues, and since EB-5 deals with employment-creation, it’s been designated as the 5th category of Employment-Based methods of immigrating. EB-5 is also commonly referred to as Investor Green Card or Investment Green Card. An EB-5 Regional Center is defined as a government approved entity, public or private, which is involved with the promotion of economic growth, improved regional productivity, job creation, and increased domestic capital investment. In practical terms, a regional center serves as an entity that companies/project developers affiliate with in order to raise EB-5 capital. The designation “EB-5 Regional Center” is similar to the concept of licensing; the regional center designation allows projects, which meet specific job creation advantages, to legally access EB-5 capital (foreign capital investment). The EB-5 Program’s capital is created by foreign investors who invest in an approved company/project developer’s project. The capital investment must create a minimum of 10 jobs for US workers. The investor is NOT personally responsible for creating these jobs, but rather the money invested will allow a company/project developer’s business to create jobs. Investors are given the opportunity to analyze the business or project itself prior to investment. The professionals at the Nevada State EB-5 Regional Center are here to provide guidance through the steps of the EB-5 process and are responsible for directing investors to regional projects that are in compliance with the state and federal regulations. With the economy in Nevada rebounding, there is revitalized interest in investing in business opportunities within the Silver State. The recent announcement by Tesla to locate its gigafactory east of Reno is just one example of how Nevada is cutting unemployment and growing its population. In fact, the Economic Development Authority of Western Nevada (EDAWN) is projecting an increase, in the region, of more than 50,000 jobs by 2019. Last year, EDAWN assisted 34 companies in moving or expanding in Nevada. The statistics are intriguing and even more companies are looking at the advantages of domiciling in Nevada. Please read the complete article below. If you are a new or expanding business looking for investors, the Nevada State EB-5 Regional Center provides support services that focus on the growth of both existing businesses and new business ventures through foreign capital investments. For more information about the advantages of becoming an EB-5 approved project, please contact 885.498.6360. Nevada must get ahead of challenges posed by increased economic activity, population, according to Economic Development Authority of Western Nevada. Nearly five years after Nevada posted the nation’s highest unemployment rate during the recession, the state finds itself facing the challenges that come with a rebound. Foreign Capital Investment – Looking to invest in within the United States. Investing in the United States provides investors and their family members with an array of personal and financial benefits in one of the most dynamic and desirable locations in the world. People come to the US for many reasons including: virtually unlimited outdoor recreation, exploration, quality of life living environment, good health, and personal growth. In addition to these benefits, the United States offers extensive financial opportunities throughout the country and in virtually any business category. Many individuals and their families seek to take advantage of the benefits of US residency through the EB-5 Program. This program is designed to assist individuals in obtaining legal entry into the US through capital foreign investment utilizing a stringent United States Citizenship and Immigration Services (USCIS) regulated process. So what is an EB-5 Program Regional Center? 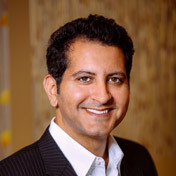 Foreign Capital Investors – individuals seeking legal entry into the United States thru a stringent program monitored by the United States Citizenship and Immigration Services (USCIS). Company /Project Developers –entities seeking capital to start or grow a domestic business or project. The EB-5 Program works to bring these parties together in an effort to create local jobs. Sound Interesting? To learn more about the advantages of participating in the EB-5 Program, contact The Nevada State EB-5 Regional Center. Located in Northern Nevada’s beautiful Carson City., The Nevada State EB-5 Regional Center, is a group of knowledgeable professionals bringing together exceptional business ventures and foreign capital investors. Our experienced staff provide company/project developers and investors with easy to understand guidelines for the program and assists participants in navigating the process. https://www.nveb5.org/wp-content/uploads/2015/12/logo-with-space-2--300x98.png 0 0 Josie https://www.nveb5.org/wp-content/uploads/2015/12/logo-with-space-2--300x98.png Josie2015-01-26 10:15:242015-01-26 10:15:24Foreign Capital Investment - Looking to invest in within the United States. 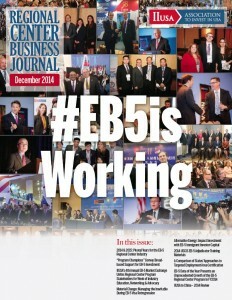 EB-5 is Working! For You! For America! In 2008, there were less than 20 approved EB-5 Regional Centers in the United States. Today, there are hundreds. The EB-5 Program has grown and evolved since its inception. In efforts to keep EB-5 Regional Centers abreast of vital information on legislation developments, share success stories and promote upcoming events, the Invest In the USA (IIUSA) was created. Founded in 2005, IIUSA is the national membership-based 501(c)(6) not-for-profit industry trade association for the EB-5 Regional Center Program. The IIUSA provides members and non-members alike with up-to-date information on the procedures, processes and outcomes of the entire EB-5 Program and just released its second Regional Center Business Journal. See article below. To receive more information on the EB-5 Program, to become an EB-5 approved project or qualified foreign investor, please contact 855.498.6360. As expected, China mainland born investors constituted the majority in EB-5 in FY2014, with 9,128 immigrants, or 85.4% of the 10,692 visas issued plus status adjustments made in the EB-5 category. This number also signifies a 32.4% relative increase from the amount of China mainland born EB-5 immigrants in FY2013, in which they constituted 80.5% of the EB-5 category total. In both years, investing $500,000 in a TEA through a regional center was the overwhelming investment choice for China mainland born applicants, with 95.5% choosing that route in FY2013 and 98.2% in FY2014.